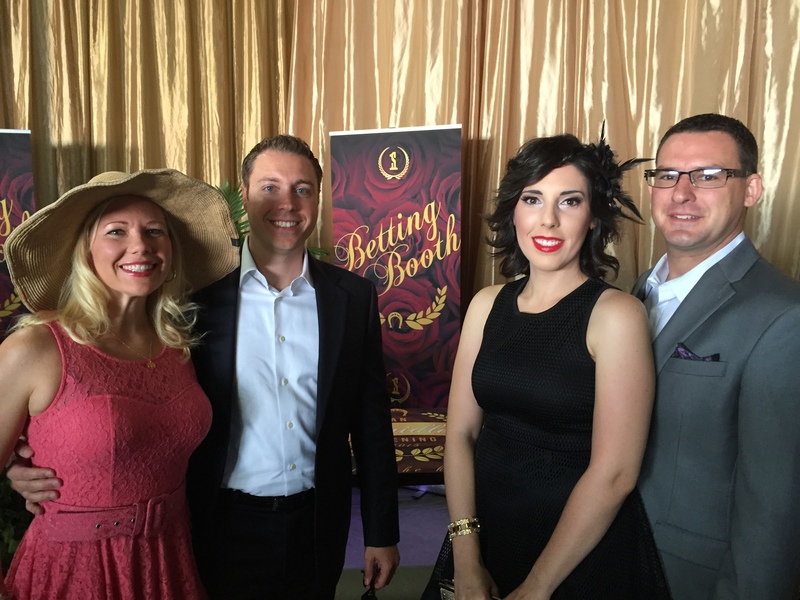 Pictured: Erin and Tony Krcmar and Rachel and Ryan Leach man the S-One Betting Booth, where attendees could win an afternoon aboard the Regalia yacht. 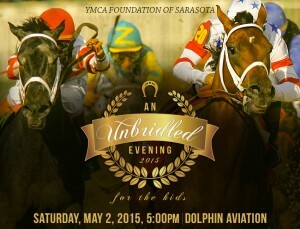 It was an afternoon of high-style fashion and jaunty hats at Dolphin Aviation hangar where about 500 attendees celebrated the Kentucky Derby and the Sarasota YMCA Foundation’s 25th annual Going for the Gold event. As a corporate sponsor, S-One Holdings Corporation hosted a “Betting Booth,” where participants could select which horses would win, place and show during the race. While they didn’t make financial bets, the guests took their best guesses, and four of the attendees got the finish for the 141st Run for the Roses correct: Win: American Pharoah; Place: Firing Line; Show: Dortmund. American Pharoah had 3:1 odds of winning the race, and remained undefeated. The names of the four attendees who guessed correctly were put into event chairman Mike Hagan’s seersucker fedora, and S-One’s Rachel Leach pulled out Tom Cornell’s name as the winner of an afternoon aboard the Regalia yacht. The event also featured Southern cuisine by Michael’s on East, silent and live auctions, touching speeches by those impacted by the Y’s contributions, and music and dancing. 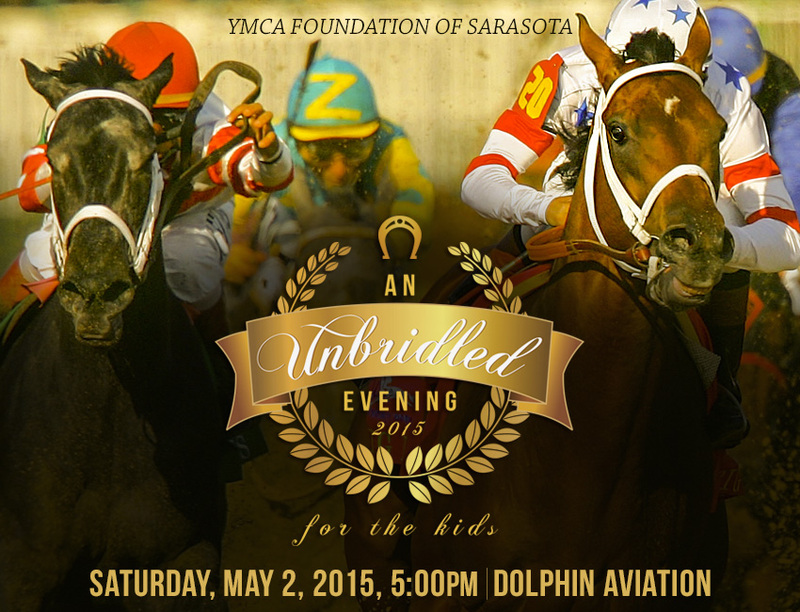 The event benefited the Foundation, which is the fundraising arm of the Sarasota Family YMCA. The YMCA provides youth shelter to homeless children, counseling for children and families, educational opportunities, mentoring programs, and much more. S-One supports the YMCA through fundraising efforts, and several S-One staff members mentor Sarasota students one-on-one through the Y’s program.